Located on the grounds of The Hyatt Regency Hill Country Resort and Spa, The Hill Country Golf Club meets all the standards of a truly great golf club. The championship course is a beautiful, dramatic and balanced 27-hole facility designed by the nationally acclaimed golf course architectural firm, Arthur Hills and Associates. Set on more than 200 acres, The Hill Country Golf Club has a wide-ranging terrain with rolling meadows, steep hillsides, wooded ravines and tree-shaded plateaus, as well as the tranquil threat of lakes and ponds. One of the "Best Places to Play" according to Golf Digest and named a "Texas Leading Golf Resort" by World Travel Awards, we invite you to experience unforgettable San Antonio, Texas golf at the Hill Country Golf Club. 27 holes of championship golf in three Par 36 courses. Each course offers four tee placements, one for every level of golfer. GPS-equipped golf carts create an "electronic caddy", complete with illustrations of each hole in color, accurate yardage to the pin, key hazards, playing tips, and even score keeping. Each golf cart is also equipped with a scorecard, pencil, tees and beverage cooler. 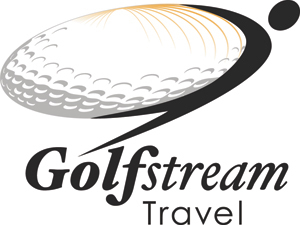 Extensive pro shop offering an extensive line of golf wear, clubs, accessories, club and shoe rental as well as staff pros to assist you in planning your San Antonio golf outing. Practice facility including putting green, instruction area and balls for use during practice. Complete clubhouse facilities with full-service restaurant, private dining room and men’s and women’s locker facilities and showers. The warmth and elegance of a Texas ranch house is yours in our inviting San Antonio Hill Country accommodations, featuring two double-sized Hyatt Grand Beds® with ultra-plush pillows, the softest of sheeting, and a thick down blanket - all piled atop an irresistible pillow-top mattress. Relax in the comfort of our charming guestrooms furnishings and gorgeous Hill Country views complement touches like authentic local Texan artwork and historic heirlooms. Additional amenities include complimentary high-speed Internet access, a mini refrigerator, generous work area, leather armchair, granite countertops, deluxe bath products, iHome stereo with iPod® docking station and much more. Enjoy the extra space and comfort of our Hill Country Suites, featuring a private king bedroom and a spacious parlor with a full-size sofa bed, additional flat screen TV, sitting area and dining table for four. Relax in the comfort of our charming San Antonio suites, where rich woods, leather furnishings and gorgeous Hill Country views complement touches like authentic local Texan artwork and historic heirlooms. Additional amenities include complimentary high-speed Internet access, a mini refrigerator, generous work area, leather armchair, granite counter-tops, deluxe bath products, iHome stereo with iPod® docking station and much more. Located on the first floor of the hotel, these inviting San Antonio accommodations provide easy access to all of our facilities and feature a king-sized Hyatt Grand Bed® with ultra-plush pillows, the softest of sheeting, and thick down blankets - all piled atop irresistible pillow top mattresses. Relax in the comfort of our charming guestrooms, where rich woods, leather furnishings and gorgeous Hill Country views complement touches like authentic local Texan artwork and historic heirlooms. Additional amenities include complimentary high-speed Internet access, a mini refrigerator, generous work area, leather armchair, granite countertops, deluxe bath products, iHome stereo with iPod® docking station and much more. In the late 1800's, families would leave their remote farms on Saturday morning and venture into various Texas Hill Country towns to take care of shopping and other business. They would stay overnight in their “Sunday House”, attend church the next morning, and then return back home to the farm. Holding true to those traditions, Blanche’s Sunday House is a place where families come together to leave worries behind, and enjoy a peaceful respite. The Sunday House is a private and free-standing, two-story villa, styled after a typical Texas rancher’s Hill Country home. Its architecture comes from the original farmhouse owned by the Wiseman family. Downstairs, guests will enjoy a formal living and dining room, full kitchen, working fireplace, and a charming country porch. With two large guestrooms and 2.5 bathrooms, the Sunday House can easily accommodate up to six adult guests. Guests of Blanche’s Sunday House will also enjoy exclusive amenities such as access to our private Windlfower – The Hill Country Spa pool, a personal golf cart, fenced backyard with outdoor grill, and complimentary stocked kitchen (select food and non-alcoholic beverages included). Enjoy our luxurious Regency Club accommodations, with concierge service and exclusive access to complimentary daily breakfast, non-alcoholic beverages, all-day snacks, heavy evening hors d’oeuvre and more. Regency Club rooms feature two double-sized Hyatt Grand Beds® with ultra-plush pillows, the softest of sheeting, and thick down blankets - all piled atop irresistible pillow top mattresses. Relax in the comfort of our charming guestrooms, where rich woods, leather furnishings and gorgeous Hill Country views complement touches like authentic local Texan artwork and historic heirlooms. Additional amenities include complimentary high-speed Internet access, a mini refrigerator, generous work area, leather armchair, granite counter-tops, deluxe bath products, iHome stereo with iPod® docking station and much more. Built in 1993, our AAA Four-Diamond resort features 500 luxurious guestrooms, a championship 27-hole golf course, a tranquil full-service spa, and over 73,000 square feet of indoor meeting and event space. The resort also boasts award-winning dining, a tennis court, jogging path and nature trail, fitness facility, Camp Hyatt children’s program, and a five-acre water park with a FlowRider® wave machine, water slide, three swimming pools, two outdoor whirlpools, and a 950-foot Ramblin’ River intertwined with lush gardens. 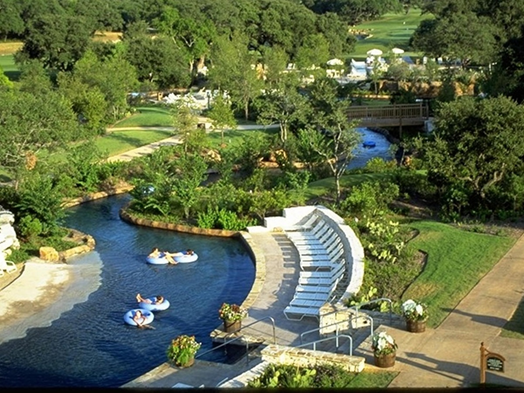 Experience an unforgettable vacation at the Hyatt Regency Hill Country Resort and Spa. Surrounded by the rolling Texas Hill Country and just minutes from popular San Antonio shopping and attractions,our resort is a sanctuary for relaxation and recreation. Here, you'll discover a charming mix of authentic Texas charm and hospitality blended perfectly with all of the fun activities that our magnificent resort and the San Antonio area has to offer. View our complete list of Hyatt Regency Hill Country Resort and Spa services and amenities. Set amidst 300 acres of wildflowers and historic ranch land, our tranquil San Antonio Hill Country spa invokes a sense of traveling back in time, to a simpler way of life. Inspired by the traditional harvest of Texas herbs and wildflowers, you can almost hear the sounds of ranchers from days gone by tending this bountiful and healing land. Keeping with German and European architectural traditions of the area, the spa incorporates native stone, authentic wood beams, and rough-hewn timber salvaged from a total of 23 abandoned structures. Antique Texas longleaf-pine flooring comes from an abandoned drugstore in Austin, while pine timbers were rescued from the Timber Peanut Mill in Brady, Texas. Spa treatments take place in a “barn” that maintains its rough-hewn exterior, but inside, a luxury experience awaits you. Indulge in a relaxing massage using native Hill Country ingredients in one of our comfortable treatment rooms, complete with a locally handmade quilt. Rejuvenate in our serene spa pool and eucalyptus steam room, or pull up a rocking chair and take in the gorgeous Texas countryside from our spa’s back porch. From upscale dining and innovative locally-sourced fare at Antlers Lodge to Texas-style bites in a traditional saloon setting at Charlie’s Long Bar, plus many additional casual and family-friendly options in between, Hyatt Regency Hill Country Resort and Spa offers a variety of dining choices to suit everyone’s tastes. Crowned by its namesake, an impressive chandelier created from 500 sets of naturally shed antlers, Antlers Lodge offers a menu filled with innovative twists on traditional Texas fare. From farm to table, locally harvested ingredients and regional specialties complement each dish. Whether you prefer prime cuts, fish, or game, you’ll discover a fresh and savory culinary selection. Proud to offer locally harvested ingredients and regional specialities, our menu changes seasonally. Allow our well-trained staff to suggest a wine to beautifully compliment your meal. 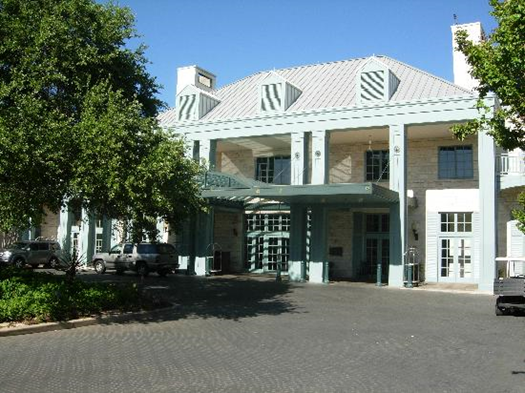 Antlers Lodge is located next to the Hyatt Hill Country Golf Club Pro Shop on the south end of the resort. If driving, take the first available right after passing the security check point, and follow the path leading to the Hill Country Golf Club. In the heyday of the Rogers-Wiseman Ranch, DG Rogers built a springhouse to keep meat fresh and dairy cool. Today the Hyatt Regency Hill Country Resort and Spa’s Springhouse Café offers all the delicious foods DG worked so hard to keep available. This casual, family-friendly restaurant is a bright and open spot to enjoy delicious buffets, regional specialties and all your favorite foods. Gather with the family over a hearty breakfast to plan an exciting day of golf, tennis, swimming, spa and more. Relax over a leisurely lunch between meetings or catch up on your e-mail while you enjoy a view of the surrounding countryside from the walls of windows. Breakfast, lunch and dinner buffets occur seasonally. Ask your hostess to see if they are available during your stay. From peanut shells to cowhide-covered bar stools and a copper-topped bar, there’s nothing more authentic than this Texas saloon! Scoot up to the 56-foot long bar and order from an extensive menu of local beers and handcrafted cocktails. Catch the game on one of our flat-screens, or challenge your friends to a game of shuffleboard, billiards or darts for the perfect Texas nightlife experience. Or drop some money in the jukebox and hit the hardwood floor to try your hand at the Texas Two Step. Whether winding down from a day of meetings at Hyatt Hill Country Resort and Spa, meeting to catch up with friends, or catching the big game, Charlie's Long Bar is the perfect San Antonio bar setting. 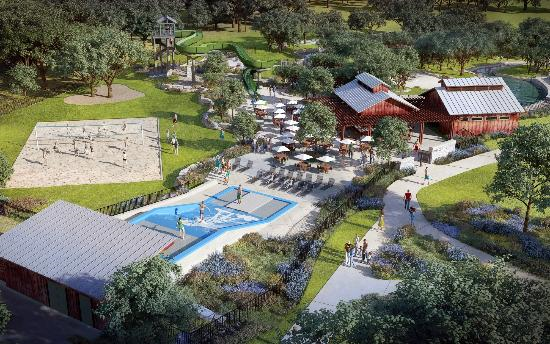 Named to honor Papa Ed Wiseman, patriarch of the Rogers-Wiseman Ranch, this poolside grill serves up juicy burgers, fresh salads, tasty appetizers and refreshing ice-cold beverages poolside. Have one of our Papa Ed's servers deliver right to the comfort of your poolside lounge chair, grab a table on the patio, or order takeaway directly from our bar counter. Papa Ed's Bar and Grill is conveniently located next to our popular Activity Pool. Featuring a full-service bar and menu with refreshing cocktails, gourmet grilled hot dogs, chilled salads and more, Vince's is conveniently located at Edge Falls, adjacent to the FlowRider® wave machine. 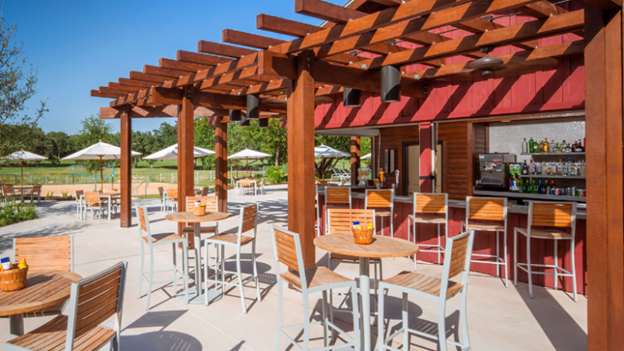 Pull up a seat and enjoy a frosty drink at the bar, or grab a table and soak in that Texas sunshine while watching guests try their skills on the nearby FlowRider or beach volleyball court. 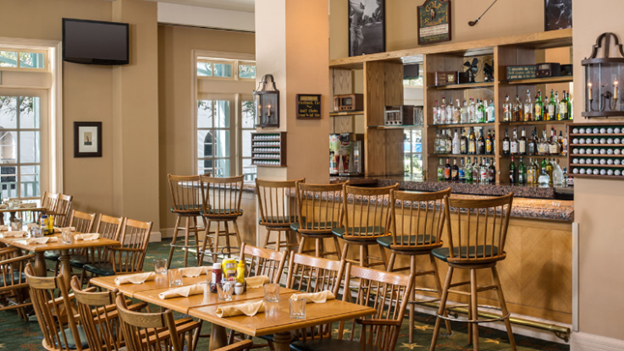 Our official "19th" hole, Cactus Oak features a full bar and mouthwatering menu to fuel up before or wind down after a day on our Hill Country Golf Course. We offer breakfast tacos or grab-n-go items for an early start, as well as delicious burgers, sandwiches, salads and more throughout the day. Catch the scores on our two tv's, or stay for a friendly game of pool. Cactus Oak Tavern is located on the south end of the resort, across from the Hyatt Hill Country Golf Club Pro Shop. Experience the true Texan hospitality of our genuine Hill Country resort. Built upon 300 acres of the historic Rogers-Wiseman family ranch, our resort offers a unique blend of comfort and elegance. With the inviting charm of a Texas ranch house and the amenities of a luxury resort, guests can escape to a quiet retreat from everyday life. Float down our country-style lazy river, pull up a rocking chair on Aunt Mary’s porch, or join our many family activities. Rich in tradition and overflowing with amenities for relaxing, playing and dining, there are endless opportunities to create a memorable stay.